Add sunflower spread in a heavy bottom pan, add the ground almond paste and keep stirring constantly to prevent it from burning. Add the rest of the milk to the paste and cook until the most of the moisture in it dries up only then add orange juice by constantly stirring, add dates syrup stir well. Cook until it start to come away from the sides of the pan and the other thing is you can notice is when the halwa no longer sticks to the sides of the pan. Stir in some cardamom powder, take off the flame. 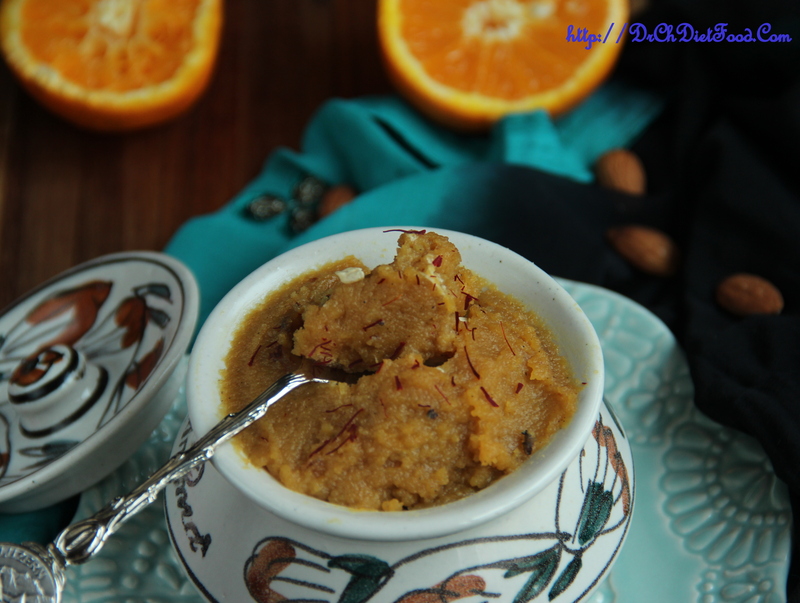 Garnish with nuts and serve hot orange almond halwa. Sweetness can be adjusted as per the taste of the orange. 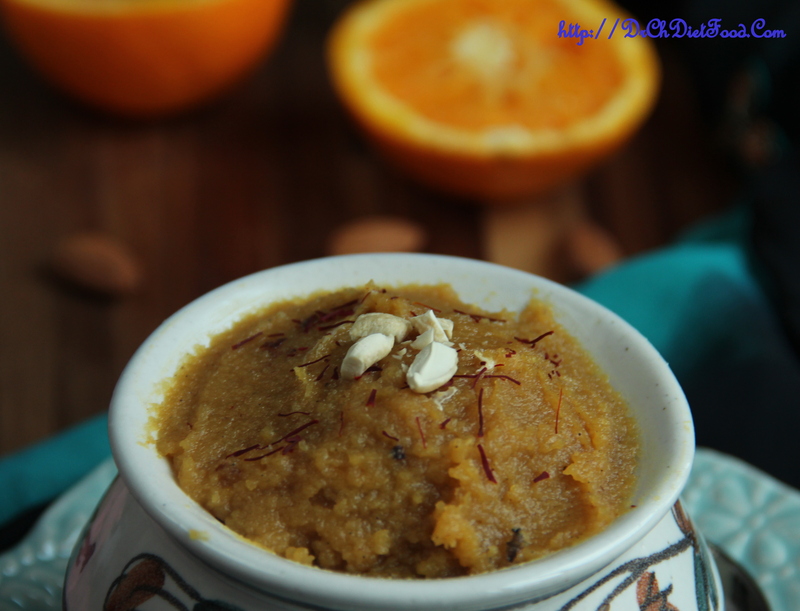 Orange adds sweet and mild tanginess to the halwa, make sure to use juicy and sweet oranges. I used coconut milk in this recipe alternatively regular milk can also be used. Sunflower spread can be substituted with clarified butter/ghee. Posted on June 3, 2015, in Indian, Sweets, Vegan and tagged almond dates halwa, india festival sweets., indian low-fat halwa, indian sugar free sweets, no-sugar badam halwa, orange halwa, Top 5 Fruit sweets, vegan badam halwa. Bookmark the permalink. 32 Comments. Anyway, great to read your posts. Thanks! Chitra, you are superhuman! You never stop! And everything so original and beautiful. Oh am a cardamom fan tooo, so nice to hear that…. Thank you dear Derrick. … feel blessed to recive comment and encouragements from you…. Sounds delicious and very intriguing, I’ve never tasted it !! 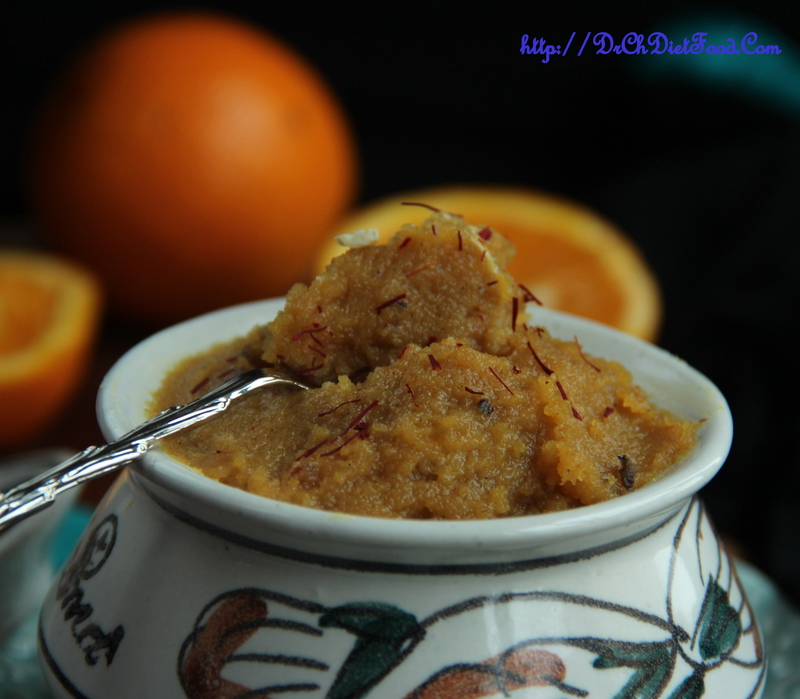 Wonderful Halwa Chitra, Looks and sounds absolutely delicious, I am a cardamom fan. Same pinch Aruna…. This halwa reminds me my dad whoz not on this earth physically used to buy this for me each time when we go to restaurants and I used to finish all by myself without sharing. … Thank you for taking me back to those sweet memories….